Wollaston Parish Council meets on the 3rd Thursday of each month, but not during the month of August. Meetings start at 7pm in the Oasis, next to the village hall in the High Street. 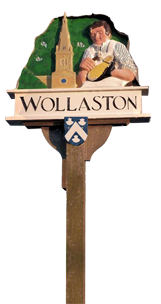 We welcome the public to attend the meetings of Wollaston Parish Council and encourage them to raise any matter they wish to bring to the attention of the Council during the first 15 minutes of the meeting. The agenda for Council meetings is posted on the notice board in Newton Road (outside the library). Certain responsibilities are delegated to Working Parties, or in the case of the Playing Field, a Sub Committee. In addition to the Council meetings there is an Annual Assembly of the Parish that is held in either March, April or May. This immediately precedes that month’s meeting.